Kapamilya child wonder Xyriel Manabat shares to fellow kids the importance of obeying their parents in the 'Lara Laro' episode of her “Wansapanataym” special this Saturday (May 19). This week, Xyriel portrays the role of Lara, a disobedient child who loves to play all the time. Until one day, she meets two playful dwarves who will drain out her energy. Are these dwarves set to give Lara a lesson? Will Lara finally realize the value of her parents’ guidance? 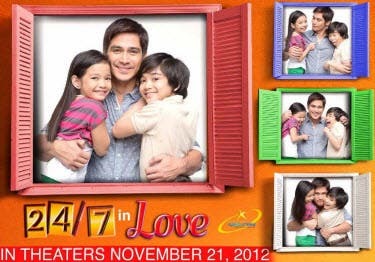 Together with Xyriel in the episode are Christian Vasquez, Jason Gainza, Daisy Reyes, and Hyubs Azarcon. It is written by Joel Mercado and directed by Tots Sanchez-Mariscal. Don’t miss Xyriel’s “Wansapanataym” special this Saturday, after “Kapamilya: Deal or No Deal” on ABS-CBN. For more updates log-on to www.abs-cbn.com, follow @abscbndotcom on Twitter.